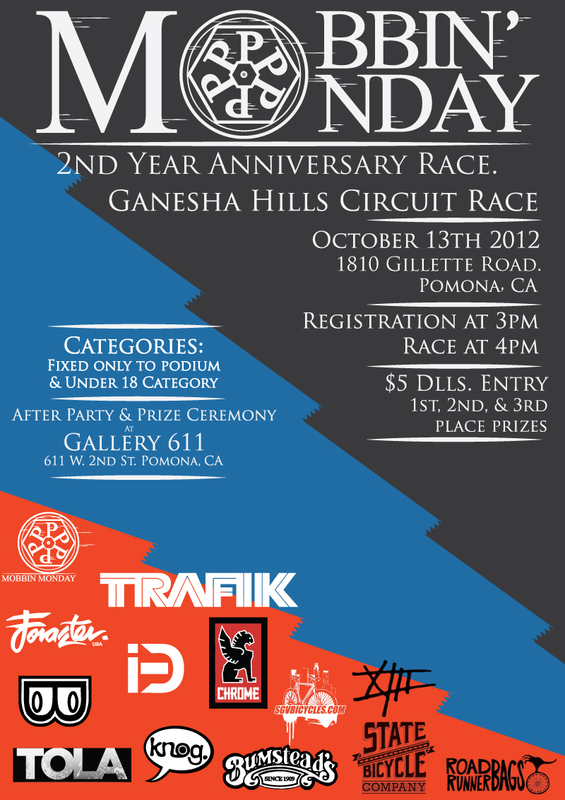 Number of Laps will be announced the day of the event. 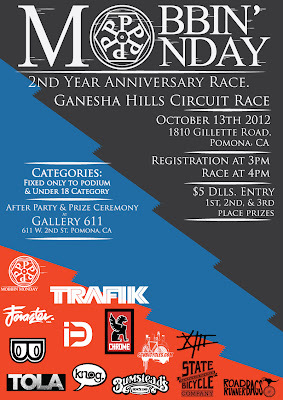 This will be a FIXED GEAR ONLY Lap Race! After Party at Gallery 611 in Downtown Pomona during Artwalk!